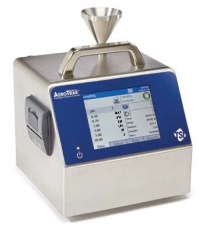 The TSI AEROTRAK™ Handheld Particle Counter Model 9303 offers the most features and flexibility for customers interested in a low cost and versatile handheld particle counter. The Model 9303 features a sturdy yet lightweight high-impact injection-molded plastic design for easy handling. The instrument is easy to configure using an intuitive keypad. The internal memory can store up to 1,500 sample records of particle count data which can be conveniently viewed on screen or downloaded using a USB port. The instrument reports up to three particle sizes simultaneously. The middle channel is user selectable for either 0.5, 1.0, 2.0, or 2.5 um. The Model 9303 complies with all the stringent requirements set forth in ISO 21501-4. It is calibrated with NIST traceable PSL spheres using TSI’s world-class Classifier and Condensation Particle Counters, the recognized standard for particle measurements. 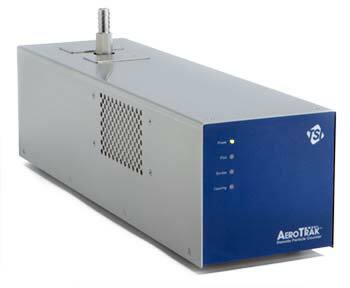 The AEROTRAK™ Model 9306 reports up to 6 particle sizes simultaneously along with the environmental data. The Model 9306 also includes an internal alarm. The Model 9306 features an ergonomic handle with thumb controls, for easy one-hand operation. The 3.6-inch (9.1-cm) color touch screen interface makes it easy to configure and operate. 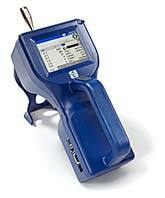 The Model 9306 can generate Pass/Fail reports for ISO 14644-1, EU GMP Annex 1, and FS209E. The internal memory can store up to 10,000 sample records of particle count data which can be conveniently viewed on screen, downloaded using TRAKPRO™ Lite Software, or printed directly to an optional external printer. The Model 9306 complies with all the stringent requirements set forth in ISO 21501-4. These particle counters are calibrated with NIST traceable PSL spheres using TSI’s worldclass Classifier and Condensation Particle Counters, the recognized standard for particle measurements. 9306-V2: 0.3, 0.5, 1.0, 3.0, 5.0, 10.0 um, but may be set by operator from range from 0.3 to 10 um. Environmental Monitoring for Electronics, Food Processing, Pharmaceutical etc. Provide a 1.0 CFM (28.3 L/min) flow with 0.3 (9310) or 0.5 (9510) um sensitivity. Compatible with TSI’s accurate ventilation probes that measure air velocity/temperature/RH, this product provides you with a complete solution for your certification needs. This particle counter can generate pass/fail reports for ISO 14644-1, EU GMP Annex 1, and FS209E. This product can be used as a stand-alone particle counter or integrated into a facility monitoring system like TSI’s FMS 5. This particle counter complies with all the stringent requirements set forth in ISO 21501-4. It is calibrated with NIST traceable PSL spheres using TSI’s world-class Classifier and Condensation Particle Counters, the recognized standard for particle measurements. Comprise all features of 9310 and 9510, but they have increased 1.77 CFM (50 L/min) flow. Perform ISO 14644-1 classifications and complete certifications of EU GMP facilities, by sampling 1 m3 of air in just 20 minutes. Compatible with TSI’s accurate ventilation probes that measure air velocity/temperature, this product provides you with a complete solution for your certification needs. TSI AEROTRAK™ 9300 and 9500 are further improvements of TSI AEROTRAK™ 9350-9550 with3.53 CFM (100 L/min) flow rate. Perform ISO 14644-1 classifications and complete certifications of EU GMP facilities by sampling 1 m3 of air in just 10 minutes! Compatible with TSI’s accurate ventilation probes that measure air velocity/ temperature/RH, Models 9300 and 9500 are a complete solution for your certification needs. The combination of an optional electronic filter scanner with up to 26 ft of tubing, make this the best instrument for in-place filter testing. 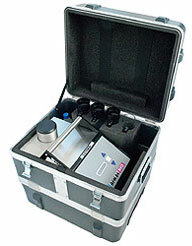 The TSI AEROTRAK™ Portable Particle Counter Model 9110 offers an accurate measurement of particles down to 0.100 μm! This is made possible utilizing a patented HeNe laser technology that is low maintenance with an enhanced signal to noise ratio. 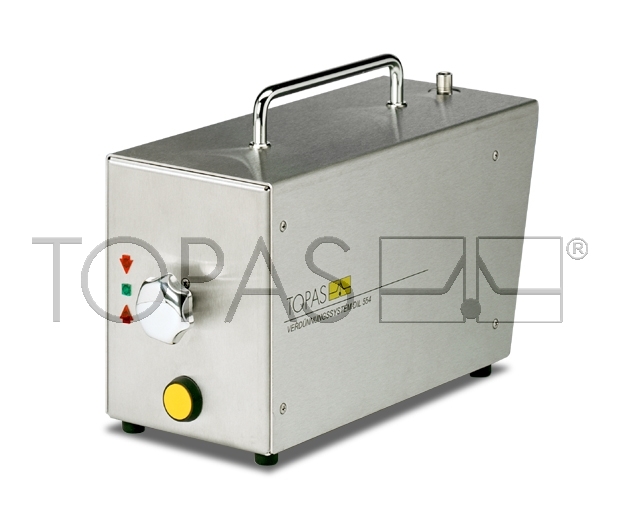 The Model 9110 is ideal for performing ISO-14644-1 classifications for Class 1 and Class 2 clean rooms. This instrument is designed for clean room monitoring, process tool monitoring, and filter test applications. The TSI AEROTRAK™ Remote Particle Counter Model 7201, 7301 and 7501 offer the most features and flexibility out of any remote particle counter on the market today. Integration is easy using either Ethernet (TCP/IP) or Serial Modbus RTU communications. The instrument can be powered over its Ethernet connection (Power-over-Ethernet) to simplify installation, or via a local power supply. Configuration can be done locally with a PC or via a web browser. 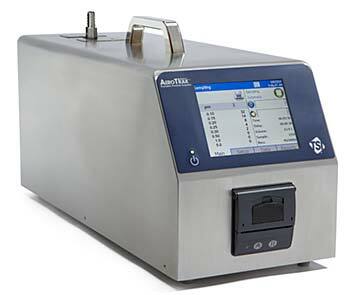 This particle counter can also store up to 3,000 sample records providing data redundancy. 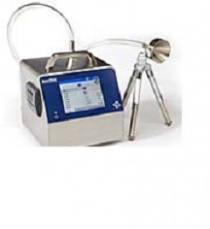 The instrument reports up to 4 particle sizes simultaneously and other key information such as laser current, background light level, date of last calibration, serial number and date of manufacture for easy warranty management. Digital calibration allows for consistency when managing a large number of instruments. With the optional Temp/RH sensor, users can save cabling and powering a separate sensor into a monitoring or building automation system. The AEROTRAK Remote Particle Counter also includes an alarm output which allows its users to alarm locally from the particle counter. 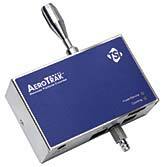 Remote 4-channel Particle Counters TSI AEROTRAK™ 7310, 7510 comprise all featires of 7301 и 7501, but provide increased 1 CFM (28.3 LPM) flow rate. 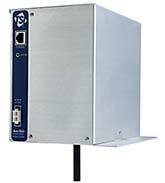 The TSI AEROTRAK™ Remote Particle Counter Model 7301-P with Pump is an excellent solution for aerosol monitoring in challenging locations. 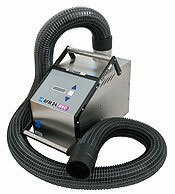 The Model 7301-P uses an internal vacuum source, providing the freedom to be installed where needed. It continuosly collects real-time data. 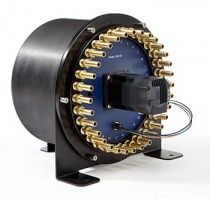 Integration is easy using either Ethernet (TCP/IP) or serial Modbus® RTU connections. The product is small, light weight, and easy to install. The instrument can be configured to run with facility monitoring systems, like TSI’s FMS 5. The Model 7301-P complies with stringent resolution requirements set forth in ISO 21501-4. It is calibrated with NIST traceable PSL spheres using TSI’s world-class Classifier and Condensation Particle Counters, the recognized standard for particle measurements. Backed with TSI’s long-standing reputation for high quality, there are no other particle counters like it on the market today. The TSI AEROTRAK™ Remote Particle Counter Model 7110 offers an accurate measurement of particles down to 0.100 ?m! This is made possible utilizing a patented HeNe laser technology with an enhanced signal-to-noise ratio. This instrument is designed for clean room monitoring, process tool monitoring, and filter test applications. And, since the particle counter is used with an external vacuum source, there is significant flexibility in placing and configuring systems. Particle count data can be easily and continuously transferred to a facility monitoring system, like TSI’s FMS 5 for secure data capture and analysis. Specifically, when coupled with FMS 5, you have a powerful productivity tool with features like Statistical Process Control. These particle counters can also store up to 2,000 sample records, providing data redundancy. The Model 7110 complies with all the stringent requirements set forth in ISO 21501-4. It is calibrated with NIST traceable PSL spheres using TSI’s world-class Classifier and Condensation Particle Counters, the recognized standard for particle mesurements. The TSI Aerosol Sampling Manifold Model M32-01 offers an affordable solution for monitoring multiple locations in large areas with a single particle counter. The Model M32-01 can provide important trend analysis and clean room verification. The product has 32 sampling ports and is compatible with TSI 1 CFM (28.3 L/min) AEROTRAK™ Portable Particle Counters, including those down to 0.1 ?m sensitivity. The Manifold is controlled via FMS 5 Software, allowing the user to configure and control the system to meet their requirements. 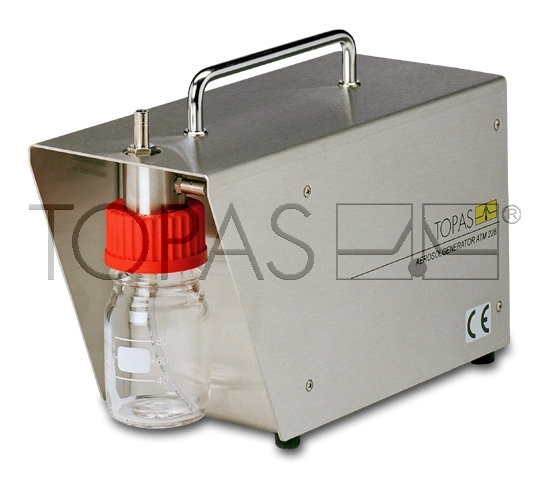 The products of the ATM series are used to generate test aerosols with defined properties (VDI 3491). The technological and design solutions of the ATM ensure a high consistency of particle size distribution and particle concentration. The generated aerosol is highly reproducible. Quality assurance as well as health and safety aspects require regular testing of filters, the certification of safety cabinets, and testing and validation measurements of clean rooms. A great number of measuring tasks related to aerosol technology requires defined dilution of the aerosol to be characterized. So the evaluation of filter and filter media is often only possible using suitable dilution techniques in order to measure particle size distributions at both high and low particle concentrations with the same measuring device. Dilution systems of the series DIL have been designed for defined total flow rates and fixed dilution factor and have especially been developed for on-site filter testing. The dilution systems DDS and HDS can be used for different total volume flows, with the dilution factor being adjusted by the user. Dilution is performed by all of these devices without any auxiliary pressurized air. The keeping of the dilution factor is continuously monitored by an internal measuring unit and is automatically readjusted at DIL 540 and HDS 561. 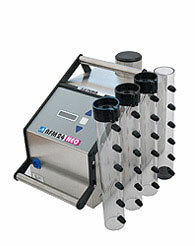 All types of dilution devices are designed for mobile use. A battery supplies the power for the DIL 554. Cleanrooms are dynamic systems. People and goods are constantly in motion. Installations, production lines and machines are periodically adjusted to the production of different products. According to the relevant standard ISO 14644-3 Annex B7 the operators of cleanrooms are obliged to give periodically evidence of the actual air flow situation by an air Flow mapping basing e. g. on high purity water fog generators. Sistema’s ultrasonic water fog (aerosol) generators of the AFM-NEO Series do offer an unmatched potential for zero contamination air flow visualisation and tracking studies in cleanrooms according to ISO 14644-3 Annex B7. All versions of the AFM-NEO Series are portable, are operated with non-contaminating media (DI water) atomized into micro sized droplets.